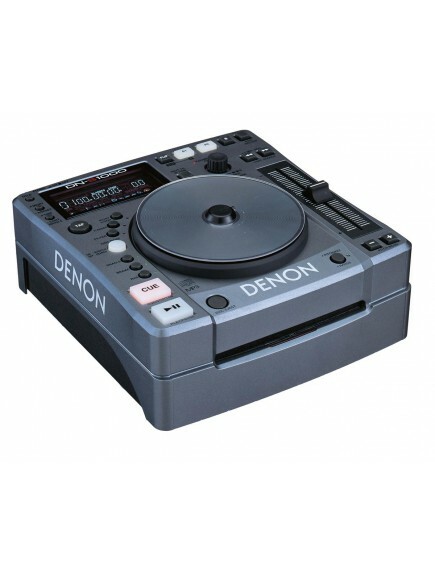 The Denon DN-S1000 Scratch DJ CD/MP3 Player provides outstanding tabletop features in a convenient portable package. The DN-S1000 is designed to offer many of the same high-end features and benefits of the popular DNS3000 in a compact, easily portable package. The DN-S1000 features a pressure-sensitive platter that can be used to mix, scratch, backspin, brake, search, and otherwise manipulate as if it were an analog turntable. The feature-rich CD/MP3 platter fits all the requirements of today's working DJs, from Mobile DJs, to Club and Internationals DJs and novices. 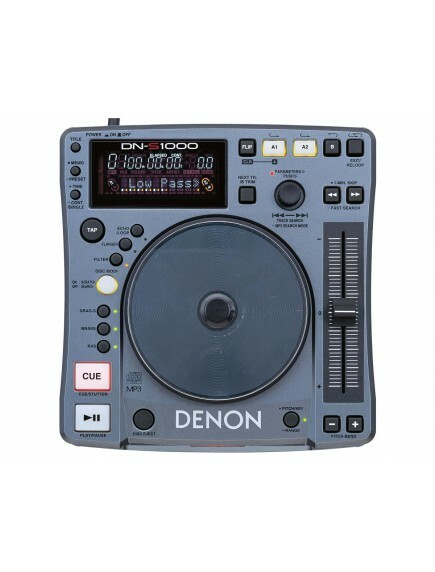 In addition to advanced MP3functionality, the DN-S1000 includes essential onboard effects such as Scratch, Reverse, Brake, Filter, Flanger and the world's first Echo Loop., which can loop a 1/4 beat up to a 8/1 beat indefinitely, allowing a DJ to overlay another track or even a new disc for a seamless cross fade mix. Other useful features include: 2 seamless loops, B-Point loop trim, and a 3-way BPM counter (Automatic, Tapping, Manual). Additionally, with features such as Fast Search /Manual Search and Quick Jump, the DN-S1000 makes searching fast and easy, allowing DJs to literally "jump" around within a CD or MP3 track using precise adjustable increment time steps. For the ultimate in control and "feel" during live performance, a special Platter Hold function allows Pitch Bend by the scratch disc of up to +/-100%. Additionally, ID3 tags are supported for MP3 files, which let you view the Artist, Album, and Title of a particular file. A real-time Instant Start (0.02 seconds) playback mechanism and 20-second Shock Proof Memory ensure instant audio playback and uninterrupted performance. A 100mm long stroke pitch slider with center click for playback speed control adds even more performance flexibility and creative control. in addition, the DNS 100 includes a Fader Start Control terminal that's compatible with all Denon DJ mixers, and 14 customizable preset functions allow DJs to tailor functionality to their individual needs. 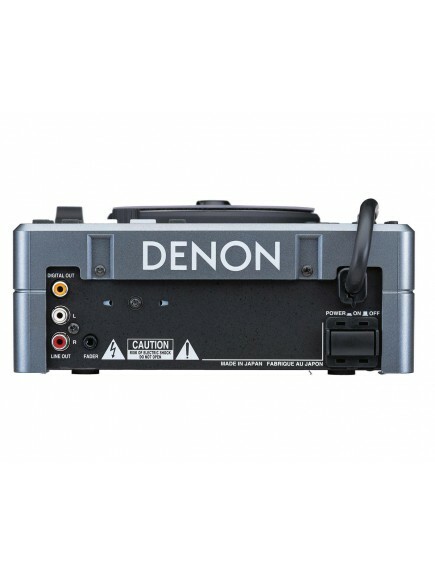 The DN-S1000 also features another world's first from Denon - Next Track Reserve with Cross Fade. With the capability to store hundreds of MP3 files on one CDdisc, Next Track Reserve now makes it easy for DJs to "Cross Fade" to another song within the same disc for a smooth, non-stop mix. The cross-fade time is adjustable.